Well, it's Christmas Eve and we've reached the end of the 12 Days of Christmas Films. :) I saved the best for last, you guys. 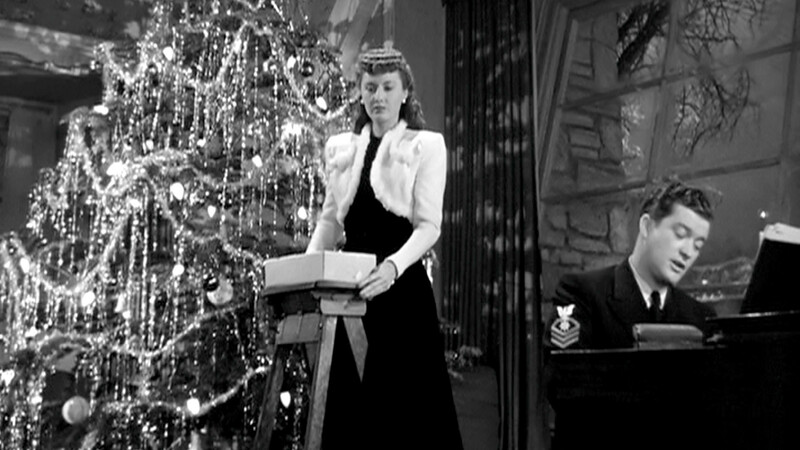 Christmas in Connecticut is not only one of my favorite classic movies, but it's my absolute favorite Christmas movie. It's basically a Christmas romantic comedy. 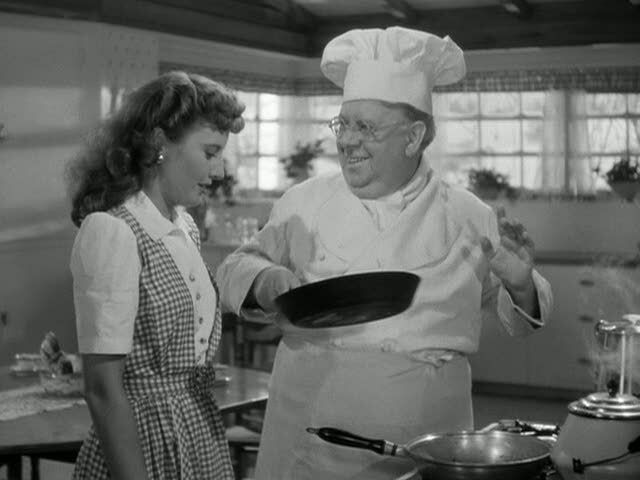 Elizabeth Lane (Barbara Stanwyck) writes one of the country's most popular food columns in a magazine. 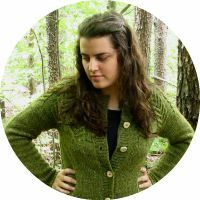 She portrays herself as a happy housewife with a baby, living on a farm in the country. In reality, she's single, lives in a small apartment in the city, and her friend and chef, Felix, provides all of her meals (and the recipes) because she can't cook at all. 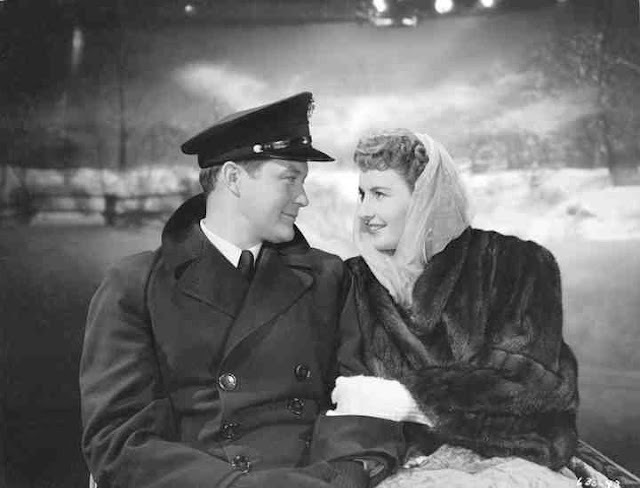 When the owner of her magazine (Sydney Greenstreet) decides that he and a sailor hero (Dennis Morgan) will spend a real, old-fashioned Christmas with Elizabeth and her family on the farm, she's forced to act her part, all the while falling in love with the sailor boy who thinks she's a married woman. I. Love. This. Movie. That's all there is to it. :) It's charming and hilarious and just generally amazing. I have a hard time explaining just why I love it so much, but that's often the way with our favorite films, right? Sometimes you just click with a story, even if you can't say why. The romance is just so swoon-worthy. Of course, there's the little fact that the girl is pretending to be married, and that the sailor boy thinks she's married (though it's easy to imagine he could be doubtful about that). But of course we know that she isn't married, and her pretend husband is such a bore that you can't help but want her to end up with someone else! Especially when that someone else is Jefferson Jones. Oh, Jefferson Jones...I think I loved him from the moment he's sitting at the piano singing The Wish That I Wish Tonight. Who am I kidding? How about when he turns up at the front door, tall, dark, and handsome, in his coat and hat in front of that horse-drawn sleigh? Or, more likely, I was smitten from his very first scenes, in the hospital. I think it's all of that thick, wavy hair that did me in. :) I have a major crush on Jefferson Jones. Dennis Morgan plays him as such a charming, good-natured guy. I've only seen a handful of Barbara Stanwyck films, but this is probably my favorite of hers so far. She does comedy so well! There are a few funny lines that she delivers with perfect comedic timing. Christmas in Connecticut has some of the best supporting cast ever. Everyone is great, even down to the Irish housekeeper Nora. Sydney Greenstreet plays the owner/publisher of the magazine that Elizabeth Lane writes for, and he has such a strong, overwhelming, blustery personality. He never lets anyone get a word in edgewise. But the best person in the entire film (apart from Jefferson Jones, of course *ahem*) is Felix. Felix (played by S.Z. Sakall) is Elizabeth Lane's friend, sort of a father figure, and the source of all of her recipes. She apparently helped him get his restaurant started years ago, and now he's always doing nice things for her. Felix is ridiculously hilarious! I paid close attention while rewatching it this time, and almost every single line of Felix's is funny. He honestly only has three or four serious lines in the entire film. I love it when everyone's in his restaurant and he's responding to the conversation between Elizabeth and her soon-to-be-pretend husband with food names: "Baloney. Horseradish. Nuts!" And he has so many memorable quotes, spoken in his thick Hungarian accent. "It's catastroph!" "Everything is hunky dunky." And my personal favorite: "Cook your own kidneys!" Which makes no sense at all unless you've seen the film and know the context. :) I love Felix so much. I also love the setting for this movie. It's, of course, set in Connecticut, in this gorgeous country house. Apparently it's the same set they used for Bringing Up Baby. But it's the perfect 40s/50s New England country house, long and rambling with big windows and a huge fireplace. 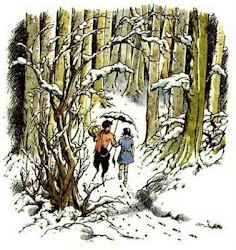 It's even prettier in the snow, with the characters getting around in horse-drawn sleighs. Christmas in Connecticut doesn't seem to be a particularly well-known film, which is surprising. It really is a lovely movie. As if my opinion wasn't obvious from the above ramblings. :) I'm the kind of person who loves Christmas movies, so it took me a couple of years to declare this as my favorite one. But now I can say it without any doubt. :) Be sure to check it out this week if you get the chance! Have you seen Christmas in Connecticut? What's your favorite Felix quote? I saw this movie for the first time last night on TV! I really enjoyed it!